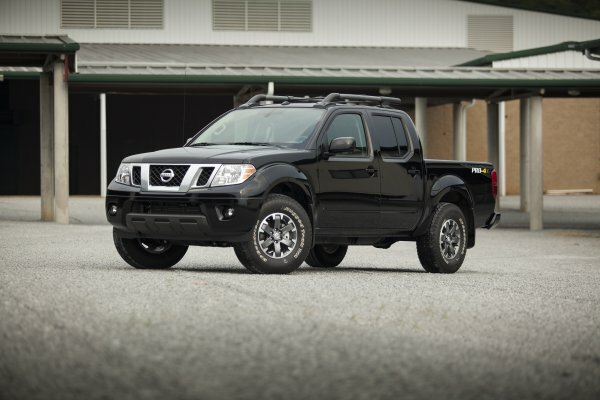 Nissan has announced 2014 MSRPs for the 2014 Frontier pickup truck, which is available in both King Cab and Crew Cab as well as two-wheel and four-wheel drive with several trim level packages. Prices for the midsized truck start at $17,990 for the base level model. Added to the truck are several standards in various trims to add value to the vehicle even as the MSRP remains steady with 2013 levels. Highlights to those additions include heated front seats as standard in the SV VTP package, three new available alloy wheel designs, Crew Cab models above the S grade have a sliding manual rear window standard, heated cloth front seats standard in Pro-4X, and base model S trims receive Bluetooth Hands-free, cruise control and steering wheel control switches as standard. Many of the packages and trim points hold their 2013 pricing for the 2014 model year of the Frontier. This includes the SV Value Truck Package, at $1,900, which saves $700-$800 over adding its options individually (depending on Crew or King body style). The powertrain for the 2014 Nissan Frontier has not changed, retaining the powerful, proven 4.0-liter DOHC V6 rated at 261 horsepower and 281 lb-ft of torque. The King Cab body style has an optional 152 horsepower 2.5-liter inline four-cylinder engine for better economy. Transmission options for either engine include a five-speed manual (5MT), five-speed automatic (5AT), and a six-speed manual (6MT). Prices do not include destination and handling fees. These prices really make one wonder why the people buying this Nissan pickup dont spend the same money on a full sized Ram, Ford or Chevy that will beat this truck in literally every category. The Frontier might offer better fuel economy in certain trims but considering that it wont do anything that the Ram 1500, F150 or Silverado 1500 will do - the folks who buy these should just buy minivans.